Estate home nestled on 8 acres north of Pinson features over 6,000 sqft of living space providing room for everyone and everything in this welcoming home. Entertaining will be a dream with great flow between the living room, den, large kitchen that has plenty of storage and prep space, dining room, and large patios in the front and rear of the home. The Master Suite will be a grand retreat with tray ceiling, separate sitting area, dreamy master closet with built-ins and a lovely master bath. This estate home has an additional four bedrooms, 2 more full baths and 2 more half baths to accommodate all your family and friends. 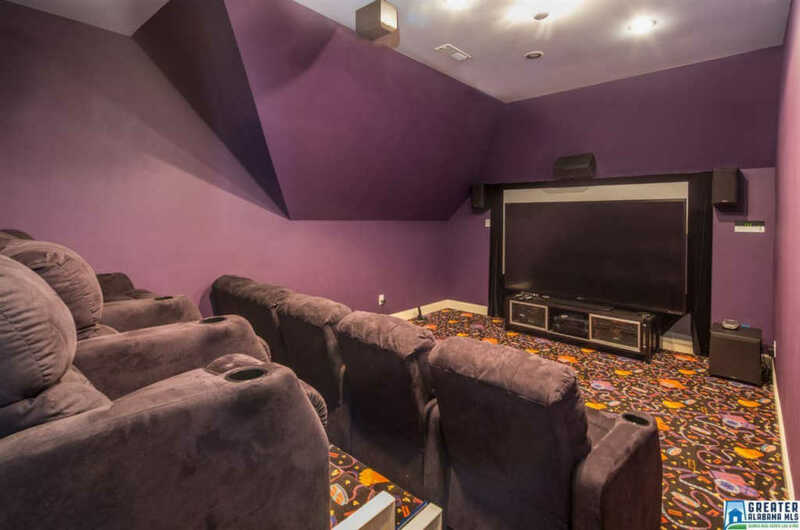 Your family and guests can retreat to the home theater, children can play in the playroom or the bonus room upstairs. Meanwhile, you can go take care of business in your office and then go work out in your home gym. A special bonus for this home is the 6-car garage and workshop with RV storage. Sit back on your front porch and enjoy the viewâ€¦paradise found.